"Hepatitis C: The beginning of the end"
Hepatitis B and C Public Policy Association was established in 2009 and brings together thought leaders and stakeholders from across the board to reflect on recent advances and challenges in understanding, measuring, preventing, diagnosing and treating hepatitis B and C and develop policy responses that can effectively and measurably address these challenges. Since its foundation, Hepatitis B&C Public Policy Association has organized three high-level meetings and two EU HCV Policy Summits in cooperation with the EU Presidency of Belgium, the EU Presidency of Cyprus, the EU Presidency of Greece and European Commission and has instigated and agreed with its partner associations on five Calls To Action addressed to the European Commission and the EU Member States. In 2016 the association organized the first ever European Policy Summit dedicated to the Elimination of HCV in Europe “Hepatitis C: The beginning of the end – key elements for successful European and national strategies to eliminate HCV in Europe” which took place on 17thFebruary 2016 in Brussels and was attended by EU Commissioner for Health, Dr. V. Andriukaitis. The launch of the HCV Elimination Manifesto “Our vision for a Hepatitis C-free Europe”, provided a road map for action to make HCV and its elimination in Europe an explicit public health priority. With patients, civil society groups and other relevant stakeholders directly involved in developing and implementing HCV elimination strategies, now is the time to take the next step further and make the HCV elimination affordable. The economic crisis has impacted on public health spending more than on any other public life sector shrinking budgets and necessitate austerity. Governments are faced with a dilemma related to hepatitis C: spend now to save later? On what? With what return on investment? The Second HCV Policy Summit entitled “Securing sustainable funding for Hepatitis C Virus elimination plans” which took place in Brussels on 6th June 2018, represents a scientific and policy answer to those questions. HepBCPPA JOINS NEW COALITION CALLING ON EU TO TAKE ACTION TO ELIMINATE VIRAL HEPATITIS BY 2030. 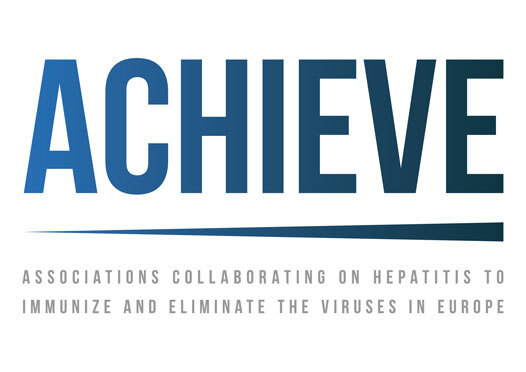 Launched at an event in the European Parliament on 7 June 2017, the ACHIEVE (short for Associations Collaborating on Hepatitis to Immunize and Eliminate the Viruses in Europe) coalition calls on the EU to take action to eliminate viral hepatitis B and C by 2030 in the WHO European Region, in line with the WHO Global Health Sector Strategy on viral hepatitis, the WHO Europe Action Plan, which build on and the UN Sustainable Development Goals (SDGs). The ACHIEVE coalititon comes together to speak with one voice representing patients and community, clinicians and researchers. The coalition includes the following organisations: the European Liver Patients’ Association (ELPA), the Viral Hepatitis Prevention Board, Hepatitis B and C Public Policy Association, EASL International Liver Foundation, European AIDS Treatment Group (EATG), Correlation Network, the World Hepatitis Alliance and the Barcelona Institute for Global Health (ISGlobal).